It may seem that the knitted amiibo for Yoshi's Woolly World are simply a gimmick. However, for children the difference here is more than aesthetic. They mark a new toys to life trend of offering playable toys rather than collectable figurines for the shelf. Of course, historically toys to life products have never really been toys at all. Sure, they are fine and can inspire imaginative play, but in terms of really functioning like a plaything, they've simply not delivered. While mounted on plastic bases these artefacts are more collectable figurines for the shelf than a toy for the living room carpet. Lego Dimensions has addressed this to some extent with its proper Lego minifigures and kits to accompany their on-screen experience. This solution has split the tech and the toy though, so that the really action is happening in the small plastic base that can be separated from the toy. This is a step in the right direction, but there is the danger of either losing or mixing up the bases and the toys. Skylanders Superchargers also addresses this for the first time this year. Its new vehicles are much more like toys that collectables. In fact you'd be hard pushed to tell the difference between them and other push along cars. The tech is embedded in the toy itself so that it functions as an articulated play thing as well as a smart trigger to access content. This brings us to the woolly Yoshi amiibos. Without a base they are a hug-able soft plushy. Seeing them in this form prompted my kids to ask "Why have the other amiibos got the plastic bases, dad?" I have to admit I didn't really have an answer. Unlike Skylanders or Disney Infinity, they don't have to sit on a portal so don't need to be stable. There has always been the opportunity to do away with the base to maximise the play value. As you can see, without a base and in soft cuddly form the way a child responds to the figure is quite different to other amiibos. Sure, they still have that tech payload for unlocking content in the game, but at the same time they are a proper toy. Toys to Life started with Activision's ambitious and risky bet on Skylanders with its plastic figures on circular stands. Now established, the future of the category lies in moving the tech inside to let the toys be toys. Would you want to see more amiibos like this? In a way we have already with the Skylanders Superchargers Donkey Kong and Bowser vehicles. Which other characters would work with a base-less implementation? It would definitely be nice to see more toys that are more like actual toys, but Nintendo has enough amiibos in range, already. Still, I couldn't say no to a Rubber-Duckie Bowser! If done right, almost any toy can house some kind of functional chip inside. Voice chips have been hiding in action figure feet since the turn of the millenium. It just comes down to the size and shape of the chip, and where you can (or want to) hide it inside a toy. I have to say I'm surprised there isn't some articulation in the Smash Bros. amiibos. If you look at Donkey Kong, for example, the arms are clearly separate pieces that are glued in, making me wonder how much more would have been involved in having an articulated joint to let the owner move the arm position or have a head that rotates? It's minor and the figures are great regardless, but that would make them a bit more fun for kids who are arguably the main target market (making shortages all the more painful for parents). @Sean_Aaron this would have made not only Amiibo more sought after, but also more costly as well as more complex and therefore there would be less stock avilable, pushing prices way way up as demand is even bigger and supply even smaller. @Sean_Aaron - It would have taken a lot of extra effort in design and manufacture to articulate the joints, I'm afraid. Also, the toys would then have 'small parts' which become choking hazards. Back on topic. Nice to see someone managed to get the blue Yarn Yoshi Amiibo T~T. It sounds like Nintendo is taking a step further towards Amiibo being actual toys with the transformable Star Fox Arwing Amiibo that was mentioned at E3. I don't accept those explanations guys, there's plenty of cheap crappy figures with articulated limbs out there; likely it just means Nintendo pockets more of the money from the sale price. I kind of thought they have bases and lack articulation to make them like gachapon figures (Japanese vending machine toys), though I expect some gachapon do have articulation. Why would we hate him for having a yarn yoshi? I'm thoroughly convinced the Amiibo is the reason for the delay of this game in NA. I'm sure Nintendo figured sales would be less in Europe then in NA and they could also make a Holiday push with this game and many more Amiibo's available. @DESS-M-8 Because it's the only one in existence. @Spoony_Tech - That's 2 of the 3 reasons I gave aaronsullivan yesterday for the delay; time to make more amiibo, and this makes for a better family holiday game than either Devil's Third or Fatal Frame. (And yarn Yoshi amiibo are the most perfect stocking stuffer ever invented) My 3rd reason was they didn't want to distract from the summer long Splatoon shooter momentum in the US, but seeing you word it so well w/ just those 2 reasons Spaltoon may not have been a factor after all. 2 notes for Andy - My kids play w/ their Skylanders toys all the time, just like I did w/ action figures when I was a kid. Of course Spryo only has 1 wing now and Flashwing is headless, but the kids have fun. They're toys, they're meant to be played w/, I'm not keeping them in a box or on a shelf. Also, tell your kids the amiibo are on stands b/c they represent the toys to life trophy's in the Super Smash Bros series. You may not let your kids play those games but here's a relatively harmless intro video from SSBM you can show them. LEGO Dimensions figures have bases with a lot of design on them that clearly reflect which character they belong to. Maybe a 5 year old would have trouble, but I won't be mixing them up very easily ! @TulipWaltz Are they that rare!? I've got potentially two of each! How adorable is that video, right? @rjejr @spoony_tech Yeah, I'm convinced it's about the amiibo. Also, the kid friendly Holiday game and stocking stuffer. It makes great marketing sense. Nintendo wants us to buy Mario Maker before the holiday season and then buy 3 Yarn Yoshis and Yoshi's Woolly World when we our wallets are flowing more freely. In actuality, though, I'm going to be trying not to buy too many DI 3.0 sets. lol. @aaronsullivan - Well at least you only have to buy DI sets, I think we have to buy 3 Skyalnders complete games - Wii U for DK, Wii racing for Bowser, PS3 for Spitfire and his car. That's not fair. And all our DI money will be going to Lego Dimensions. SMM in Sept and Yoshi in Oct means we're done w/ Ninteod games until Zelda I think. All those other games will be on Wii U though, I think PS4 will wait until sometime in 2016. @rjejr Exclusive retailers is one thing, but exclusive to bundles with games is just nasty, imo. I don't like either. Is it confirmed that DK and Bowser won't be available separately? At least with DI they are all timed exclusives with retailers. With amiibo, so far, it's forever, it seems. I think DI has been doing the most to make it all more agreeable to consumers. No more blind packs, now. Everything available separately (eventually). The NFC reader hasn't changed since the first so no re-buying. I see figures from 1.0 that I was always worried would be too rare on the shelves all the time. Lego Dimesions is a big mystery on this front isn't it. I wonder how availability and rarity will work out there. Of course, they all have their problems. My problem with DI is resisting Star Wars. lol. I'll have Battlefront but that's really not a game I want my kids to have tons of exposure to. But I can play with them in the Toy Star Wars worlds. @aaronsullivan - No, my kids probably won't be playing Battlefornt for awhile either. But to be honest I am worried about my 12 year old being so excluded from his friends, of which he really only has 1. I'd rather he play Battlefront than COD when the time comes, which will be soon. Unfortunatly I don't see DK and Bowser amiibo being sold separately b/c they only work w/ the Nitnedo versions of the games on the Wii U, Wii and 3DS. Too many cranky returns from PS3. PS4, 360 and X1 owners who say the toy to be recognized to make it worthwhile to them. Yeah, but surely everyone sees that the DK and Bowser are toys Wii and Wii U owners want. Maybe they should have a bundle at a reduced cost or something. @aaronsullivan - I'm hopeing for a $40 3DS version on sale for $20 Black Friday, or the $50 Wii for $25. Battlefront is likely to be the least offensive of that type of game and popular so maybe not so bad for a 12-13 year old. It's also fantasy. It helps distance the mind a bit from the military killing tool worship that is in the COD and Battlefield games, but hopefully some control over chats and talking online. Unbelievable how toxic that gets when you are public with it, and I'm sure kids are picking that up even when their non-anonymous selves are civil. Haven't had to tackle this yet, so keep me informed! Even as an adult I get a creepy sometimes feeling trying out all the military tech. I mean, soon enough, I'm enjoying things in the thick of it and loving it, but when I start to think of how cold and real it all is. It's a bit chilling. Kids don't have those reality checks. Though there is that message pounded into your head through those games: it doesn't matter how great a "player" you are in war, you're most likely dead in 5 seconds. lol. @rjejr That is the nice thing about waiting until Holidays for all these. They release them so early that it's sale time by then! I do hope they offer them separately, after a short launch period. Maybe put them over in the amiibo shelf space. @aaronsullivan - "Maybe put them over in the amiibo shelf space." Where they can keep SMB Mario and Peach company. Activision was mum about the Wii and 3DS versions at E3, I wonder if they will be released closer to the holiday? Not sure why the authority man is talking down to the child like he's an idiot, but the amiibo looks cool. It's awesome to see kids playing and enjoying this game, especially the plushy yoshi amiibo! (Still makes me sad I gotta wait till October, though). I think Nintendo would be smart to add amiibo functionality to the plush dolls they have already out, especially with pokemon ones and add functionality for amiibo in the next pokemon game, those would be a huge hit with everyone! It's great to have a bit of variety with amiibo. These yarn ones are so cute and cuddly. I'm Ioving how they look. I'm game for more 'plushie' amiibo. heck, I'll re-buy my Fox, Pikachu and Sonic amiibo if plushie variants of them are ever made. And if they release a plushie Zero Suit Samus, well, I'll have something new to cuddle up with when I go to sleep. @DESS-M-8 I hope you're not being serious. How can there only be one in existence, when you get your hands on two of each? They're just common Amiibos, nothing more. @ the author of the article: Would you please stop this annoying "don't hate him" BS? It's like you're showing off your stuff desperately wanting people to feel like you've got something better than they do. Especially with something as mundane as a yarn yoshi. They're being released in Europe this week. Thousands and thousands of people will have one. But, ooh, yeah, they're gonna hate you. In religion while they do speak of the six worlds, dinosaurs are still considered to be fictional creations, as with most dragons. @KeeperBvK what? Or course I wasn't being serious, neither was the other person. I was acknowledging his exaggeration highlighting the rarity of the yoshi amiibo. But if you think they are common, you are sadly mistaken. There is nothing common about amiibo whatsoever. He's from Exeter, I live in Exeter! Exeter is cool! Awesome vid. And yes, I want the yarn Yoshis! 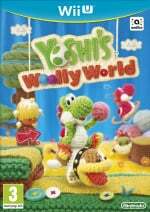 I placed my preorder for Yoshi Wolly World yesterday at Gamestop. The guy says they are absolutely not doing future preorders on Amiibo and no bundle SKUs were in the system. Should I attempt to buy the Yoshi 3-pack from Europe/Japan or wait until they release here and possibly get them cheaper or possibly risk sellout and fighting the scalpers? Really interesting video. It helps me much in educating my children. Nice to see someone managed to get the blue Yarn Yoshi Amiibo T~T. It sounds like Nintendo is taking a step further towards Amiibo being actual toys with the transformable Star Fox Arwing Amiibo that was mentioned at E3. My friend can do this toy by herself. Toys to life products are fine and can inspire imaginative play. This is very helpful information and it has significantly saved my time. I would like to say thanks a lot to giving a chance to all of us to comment to your precious post.